Whether you own a retail store, auto dealership, strip mall, or a large business park, getting your business clean and presentable for spring is a huge task. Winter may not have been very kind to the sides of your building, your sidewalks, and any driveways or garages you service your clients in. And we’ve all heard the old cliché about how important first impressions are. But it’s true, and to get your business ready for spring, commercial power washing in Chicago is a must-have. The best commercial power washing in Chicago services will provide the correct blend of power and cleaning agents to clean your parking lots and concrete. Most people don’t realize that a high-pressure power washing system with nothing but water isn’t much use. While it’s true the high pressure will remove dirt and grime, lack of the proper detergents makes it so that same gunk comes back the next year. Detergents help maintain the appearance of your business, whatever the surface is. Avoid cut-rate services with inferior techniques. You may find cut-rate services offering to get your business ready with their power washing services in Chicago. But our advice is to be wary of those who cut corners. Relying on pressure alone to clean every surface imaginable often causes more problems than it solves. 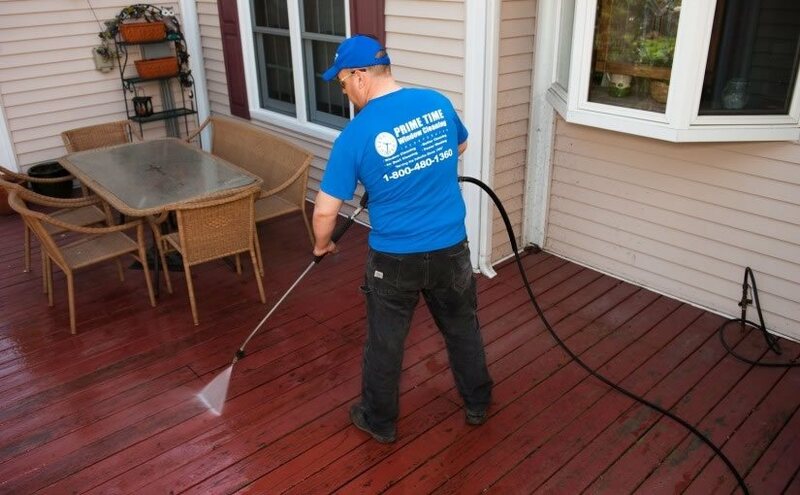 Pressure washing is a delicate process that should be handled by trained professionals because if done incorrectly it can cause expensive property damage. Going beyond the commercial power wash in Chicago. Don’t stop at a commercial pressure wash to get geared up for spring. Clean gutters, sparkling windows and spotless fences all help present your business in the best light possible. You probably don’t realize how good your store or dealership could look because you’re so used to looking at the grit and grime that builds up over the years. Help yourself unlock your business’ full potential by putting your best foot forward. 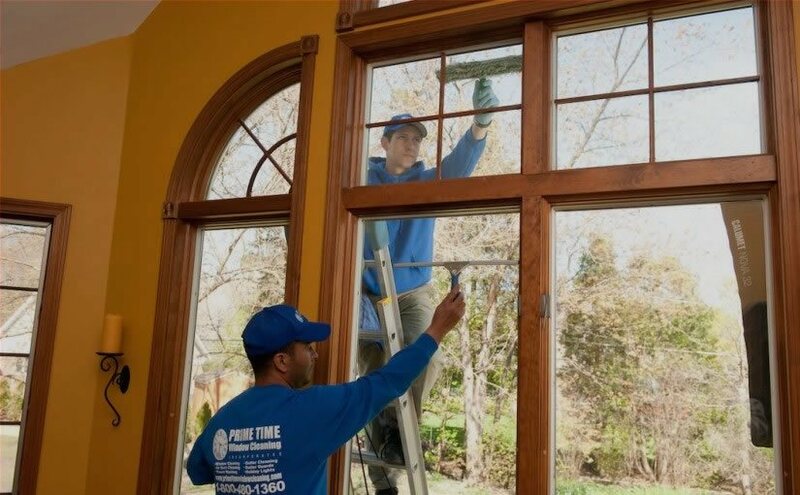 For the best commercial power washing in Chicago, contact the professionals at Prime Time Window Cleaning. We’ve been pressure washing business in Chicago and the surrounding areas for several years. And we offer a full suite of related services like gutter and window cleaning. We have everything you need to get your business ready for the spring time. To learn more about our services, or for more helpful tips on pressure washing visit us on the web. Or you can call us today at (855)635-5591!